Next March 12th we are celebrating by boat with MSX machines. MSX Cruise 2019 starts 12th of March and ends 14th of march 2019. Finland Helsinki to Stockholm Sweden and back to Finland on same boat. i hope page will open tomorrow 31.12.2018. Page maker knows this is last dead line. we need 20+ MSX members on this trip. Bring your own machinen with you. Invite also your other MSX friends with us. Price is 160 euros including all. Foods, cabins , conference room , sauna , friends. 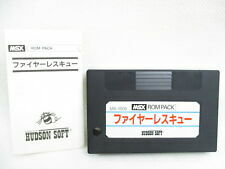 there can also sell msx stuff to other members..
pages should be in english too. Hi Mika I have made payment see you soon! Is this the chat topic? I would like to bring a MSX eprom burner if anyone knows how it works and has some eproms?? I would like to learn to use it. And I have a JVC Midi controller I don't know how to use. Can suomi people bring a monitor with rgb connector for that card? If people need MSX stuff let me know I have a lot stuff spare. I only need laservideo games and panasonic msx audio cartridge, everything else I got already. I have many philips music modules (with midi and sampler) and many msx machines spare. If you manage to figure stuff out, let me know ’cause I have one as well and am interested . I forgot I also need a Denyonet! You live in utrecht right? I can code asm but not really good at pcb. I tried to get the british software that came with this cartridge but never received a reply that I send to the address I found. I wonder if the zx spectrum software and msx software were the same except vdp. Had to pass this cruise. Couldn't take the whole week off from work.